A project exploring the use of design to create space for meaningful conversations about death, dying and life. my dad’s comfort around the topic of death (he started prepping me for his demise at the ripe age 15). All this thinking about death has been life-affirming. I think about and act on what really matters to me — being kind, pulling my weight, laughing, cultivating deeper connections with people I adore, continuously exploring and learning about my internal life as well as the world around me. That’s big picture. However, when I get into the weeds of my day, I sometimes forget. With deadlines, busy-ness, and general life wrenches, I forget about the importance of the moments. I waste my time surfing mindlessly on the internet rather than surfing the waves of the ocean (my latest challenge). Listen to someone dribble on about God knows what rather than exiting the conversation diplomatically to go about my day. All this is changing though. Several weeks ago, I finally got my one and only watch: Tikker. They call it “the happiness watch,” but my friends and family affectionately named it “the death watch.” It does what all good watches do—it tells time (yeah! ), but get this: it also counts downs my life expectancy in years, months, days, hours, minutes and seconds! Using a very approximate formula that takes into account country, gender, obesity level, exercise, stress and smoking, I programmed in 48 years and 6 months…and hit “Set”. Tick. Tick. Tick. The time started moving backward. I was elated. Most of my colleagues were horrified. One month of my life later… has the Tikker had an effect? Indeed, it has. The countdown is a constant reminder of my forgetfulness. I’m reminded to make the most of the minutes. I dance around my apartment more and generally minimized the import of what other people think of me. Life’s short, people! The watch has made me realize I have a choice about how I want to spend my time. Recently, I was listening to a meaningless meandering monologue of a friendly acquaintance. Sometimes it’s important to listen to people’s monologues, and on this given day, I looked at my watch, saw the time ticking down and realized today wasn’t one of those times. Modern Loss – Candid conversation about grief. Beginners welcome. The founders of Modern Loss – friends Rebecca Soffer and Gabrielle Birkner – separately experienced sudden and terrible losses early in their adult lives. Now they have come together to create a forum where stories of personal loss benefit both writers and readers. Under the header My Loss, short-form personal essays give a glimpse of unique and universal expressions of the shock, pain, humor and grief that loss provokes. Modern Loss also provides practical advice on topics that don’t usually find their way into daily conversation such as “How to: Get Dead Relatives #Offline,” “How to: Sort Through What’s Left Behind” and what foods to bring to someone in mourning. Soffer and Birkner’s clear and unsentimental sensibilities leave us a little wiser and less alone in our loss. Who will you invite to your My Gift of Grace Game Night? How can we help each other get unstuck and start important conversations about living and dying well? By doing it together. In celebration of National Healthcare Decisions Day on April 16th, we've released a kit to help you organize your own My Gift of Grace Game Night. Do it for your family, your co-workers, or your community. Invite the public or just bring close friends together. Whatever kind of event you decide to hold, register your Game Night to get 10% off your copy of My Gift of Grace. The Action Mill rolled out this Death and Design website on January 3, 2013. Over this past year, we’ve highlighted some 40 projects – close to home and around the world - that work to unhide death in our daily lives. Learning to talk easily throughout the lifespan about the apparatus of death – advance directives, wills, funeral plans – is critical. But as Action Mill partner Jethro Heiko has observed “If the challenge is conversation and people aren't having it, don't give them a document. Give them a conversation.” And that is exactly what the Action Mill’s My Gift of Grace is designed to do. Death is a perpetual theme in poetry. And poems are a source of comfort to those who mourn. To find a poem on death or grief, go to the Poetry Foundation’s website. On the homepage under Poems and Poets, you can search the Foundation’s online database of more than 11,000 poems. To read death-themed poems, search by Subject and then drill down under Living to find 1,219 poems on death. Or search on sorrow and grief and choose from among 605 poems. Other categories include funerals, elegy and time and brevity. 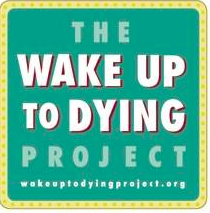 The Wake Up to Dying Project brings a creative new voice to the burgeoning movement to help people think and talk about dying. Founder Nina Thompson and her team collect real life stories about dying and loss, told by everyday people in their own words. Brief audio recordings on the website – most around 3 minutes long – evoke enduring themes such as letting go, dying with dignity and saying goodbye. As such, the stories can be used as discussion prompts in family, community and educational settings. Team members are using House Party Mash-Ups as venues to build up their library of stories that will fuel a touring interactive exhibit. Their vision is that people in towns across the county will visit the traveling exhibit, listen to stories, be inspired to record their own and then connect with local resources committed to normalizing end of life as a part of life. Our conversation game for living and dying well is now available! Thanks to all our Kickstarter backers who made this game possible and all our gametesters who helped us make it a game we're really proud of. We've been playing it with our families and friends, and we hope you will too. Visit mygiftofgrace.com to get your game. Over the past five years the Engage with Grace: One Slide Project has been doing its part to start conversations about end-of-life preferences. Motivated by personal losses, Engage with Grace creators Matthew Holt and Alexandra Drane designed a single slide with five simple questions and invited the world to download it. To prompt your own reflections or share the tool with family and friends, click here. I met Tamara (or Tammy) through the Philadelphia Quantified Self group that The Action Mill has been hosting at our studio every other month or so for the past year. I knew that Tammy used personal kanban which she learned by viewing our free webinar. Personal kanban has helped me and other Action Mill team members be more present and more ourselves from moment to moment and task to task. I was surprised when Tammy told me that she recently placed “Die” in her kanban, a practice I had begun last year and shared with her. The following is a Q&A I had with Tammy over the past week and the picture above is a photo that Tammy took of her personal kanban. Enjoy. Question: How did you come to start using a personal kanban and how has it helped you? I discovered personal kanban the first time I visited The Action Mill. I was visually intrigued and then when I began asking questions and learned it's purpose I was immediately excited to try it out. As someone with ADD and an additional memory issue, personal kanban's way of visualizing tasks seemed like something that could help me. The day after my visit to The Action Mill I went onto the blog and watched the web seminar on how to create your own kanban. I built my own kanban at work using just the basics at first and then tweaking it to better fit my job. I noticed a change in my work flow immediately; I always knew what I was working on, what had to be done, and if something was scheduled to be done soon. My boss even took to adding post-its to my kanban rather than having to send me emails. The positive reward of putting a post-it into the "DONE" section became almost addicting. After seeing how well kanban worked for me in my professional life I decided to make a kanban for my home studio space. I broke the tradition a little by using frames instead of tape to make this kanban more visually appealing. As expected, my home kanban has been equally influential in promoting productivity. It helps for keeping track of creative ideas and making sure they get a fair amount of time spent and are ultimately completed rather than hopping from one project to the next and never completing any of them. It also makes boring home chores slightly more bearable because of the positive reinforcement of moving them into the "DONE" section, just like at work. Overall, as someone who is chronically forgetting tasks or appointments, kanban has helped me get a handle on my tasks and obligations and improved my productivity exponentially. Question: When did you place "Die" in your Doing? How has it changed you and how you approach your day? I added "DIE" to my kanban after the sudden and unexpected death of an acquaintance. I wanted a daily reminder that death is coming. I wanted to use this reminder as a tool to come to terms with my fear of death and the unknown it holds, but also to remind myself to actively live my life and live it positively. I hoped that perhaps also this reminder would stimulate me to get things done now and not wait until later, because there may not be a later. Thanks Tammy for sharing a bit of yourself with us and our readers. To see some of Tammy’s recent work check out her new website. Finally, please share any day-to-day approaches you use to stay connected with your mortality. Designed and taught by Drexel faculty member Ken Bingham, the course matches students with individuals receiving services through Crossroads Hospice. The inaugural offering in Summer 2013 saw 11 students enrolled from a wide range of disciplines, including biology, English, nursing and psychology. Staff from Crossroads Hospice facilitated the first two class sessions to prepare students for being with individuals who are dying. Students then met weekly with their hospice partners to create Life Journals to share with family members and friends. Professor Bingham reports that hospice patients and their families enthusiastically welcomed the students, often preparing food for their visits. Although three individuals died during the course of the semester, participants reported that the learning experience was one of celebrating life. Exceptional bonds can develop quickly in the face of life’s limits, as evidenced by students continuing to visit their partners after the 10-week course concluded. It’s A Beautiful Life will be offered again in the Spring and Summer of 2014. To read more about this community-based learning experience that opens up conversations about death and life across the generations click here. Around the globe, human-centered design principles are being trained on inherently messy end-of-life challenges. Recently, two foundations – the Lien Foundation and the ACM Foundation – commissioned a healthcare design consultancy called fuelfor to re-envision inpatient hospice care in Singapore. The resulting report, Hospitable Hospice – Redesigning Care for Tomorrow, generously shares 7 design concepts and 24 experience design principles that can spark action whether you are in Singapore, Philadelphia or Rwanda (Note: Rwanda was the first country in Africa to implement a stand-alone national palliative care policy – see this article in ehospice.com). At the core of the vision is returning the dying process to everyday life by developing porous hospices – what they call Care Central - that become integral parts of neighborhoods alongside schools, religious institutions, stores and homes. But even more than the physical environment, the authors recognize the central role of human interactions in the dying process. As such they see volunteerism as playing a greatly expanded role in the hospice of tomorrow. Volunteers become emissaries who can cross boundaries and open up conversations about death and dying across the lifespan and throughout communities. With offices in Barcelona and Singapore, fuelfor healthcare design and consulting brings design thinking to healthcare entities, governments, communities and individuals. The Action Mill team is honored that My Gift of Grace is included as an exemplar in the Inspirational Book that is appended to the main Hospitable Hospice report. There is a door that I have locked till the end of the world. There are some that I shall never open now. Death is gnawing at me ceaselessly. "The thing to do when you are impatient...is to turn to your left and ask advice from your death. An immense amount of pettiness is dropped if your death makes a gesture to you, or if you catch a glimpse of it, or if you just have the feeling that your companion is there watching you." August 8, 2013 marked Australia’s first Dying to Know Day, a time dedicated to conversations and community actions around death and dying. The aim of this inaugural event was “to encourage all Australians to develop new knowledge and attitudes about how to deal with death and bereavement and support each other at the end of life.” From Canberra to Melbourne to Tasmania, locally organized events included Death Cafés, Pub Conversations about Healthy Dying, and a forum on Goya and Ars Moriendi. Dying to Know Day is just one of several creative initiatives advanced by the GroundSwell Project which uses the arts to bring about social and cultural change. Founding Director Kerrie Noonan reached out to the Action Mill regarding My Gift of Grace and the Death and Design website, further evidence of a worldwide groundswell to unhide death in life affirming ways. "Death is the only wise adviser that we have." Here at The Action Mill we started Death & Design as our contribution to a nascent movement to unhide death and the dying process, to open up difficult conversations. One of our first blog entries was about Martha Keochareon, a nurse from South Hadley, Massachusetts with pancreatic cancer, who invited nursing students into her home to ask her questions and learn first hand about caring for someone at the end of their life. Now Scott Simon, host of National Public Radio’s Weekend Edition Saturday, has opened the door even wider by using Twitter to share his and his mother’s observations with 1.2 million followers during the final days of her life. To read some of the tweets and learn more visit this link. Whether you find the use of Twitter for this purpose moving or profane, Ms. Newman’s wise instruction to “listen to people in their 80’s” is an open-ended invitation to face our own mortality. Thank you to all 436 people who backed our My Gift of Grace project on Kickstarter! My Gift of Grace is a game that helps people talk about death that we've been working on for the past few months. Our recent Kickstarter campaign raised over $41,000 to finish and manufacture this game. You can find out more, read media accounts and sign up for updates at mygiftofgrace.com. The Philadelphia region is home to an abundance of cemeteries with historical, horticultural and architectural significance. To name just a few, you will find Christ Church Burial Ground, the resting place of Benjamin Franklin; The Woodlands, with elaborate Victorian monuments; and Eden Cemetery, America’s oldest African American public cemetery company and a stop on the National Park Service National Underground Railroad Network to Freedom. 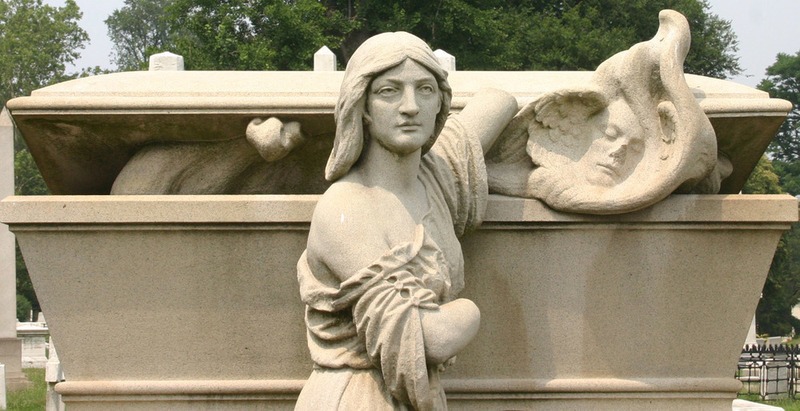 In this venerable company, Laurel Hill Cemetery is notable for its imaginative efforts to entice the public into its 78 acres along the Schuylkill River through live music, historical tours and lunar strolls. Intriguing entries in the Summer 2013 Calendar of Events include a Concert Atop the Crypts, Cinema in the Cemetery and the 5th Annual Service Car and Hearse Show. A recent grant from the Pew Center for Arts and Heritage will help restore nonprofit Laurel Hill’s historic pedestrian entrance on Kelly Drive encouraging even more interactions in this liminal space known as Philadelphia’s Underground Museum. 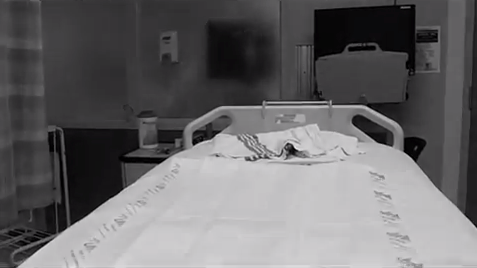 With patient and family permissions, Dr. Hart and Dr. Hansen-Flaschen plan to place a stationary, remote-activated camera with a wide-angle lens at the head of patient beds in the Medical Intensive Care Unit, gathering images from the perspective of the patients. Hart and Hansen-Flaschen believe that “Capturing the emotions of family members will serve as powerful motivators to individuals who have not considered or completed advanced care planning.” The photos then will be used as the centerpiece of an informational campaign to promote advanced care planning among the public. Experience the power of such a project here.